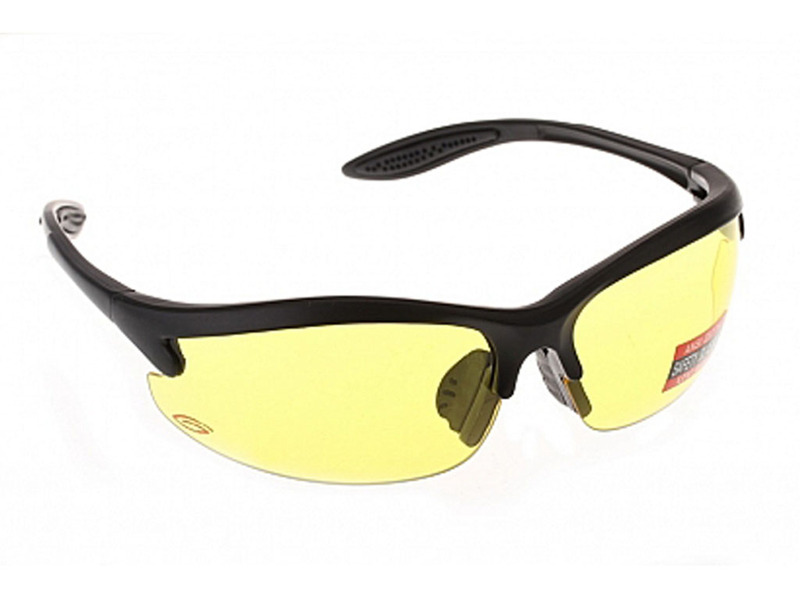 Stylish and compact lightweight safety glasses accompanied by various accessories. These glasses come with two additional sets of lenses. 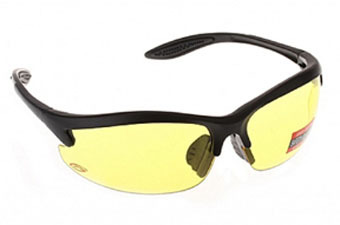 The yellow lenses are designed for smoke, fog, and haze. The lens functions as a filter, making yellow and orange targets more crisp and clear. Mirror lenses decrease the amount of light passing through the lens and reduce glare, making these lenses ideal for blinding sunshine. The clear lenses are universal and can be worn in any conditions. Rubberized temple tips help keep these glasses in place during active motion. Due to the stylish design of these glasses, they can be worn in any outdoor setting.